Some people had to wait 10 years for toy story 3, 14 years for the Incredibles 2, I've waited for 8 for this sequel. Which is actually a prequel. Set in 1899, Red Dead Redemption 2 sees you as the outlaw, Arthur Morgan, a bandit in Dutch gang, who like the game starts have had to flee town because of a job that went sideways. It's the character work that I love about this game as you really get the feeling that these people need each other to survive. There's even a cameo by RDR protagonist John Marston. 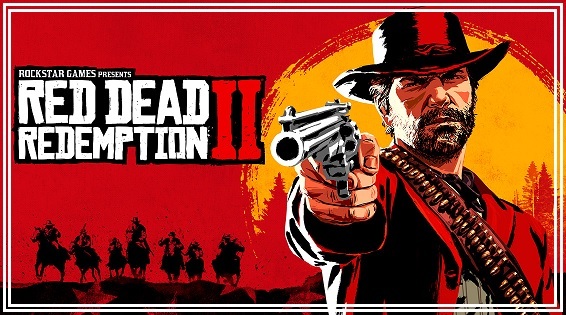 The gameplay is a lot like the previous in terms of shooting, riding and gambling with a new addition being hunting for food to feed the camp and that of conversation choices instead of a set script which will make the play through that bit more personal and unique. You also have to look after yourself cleanliness wise and look after your horse as you bond and improve your horses' attributes. One thing that stuck out for me is that your character reacts to the change in climate, where if he’s too warm or cold because of his clothing his health is affected, you also have to maintain his general hygiene with NPCs reacting to fights you’ve been involved with or if you haven’t had a bath for days. The customisation is a big thing with your guns, horse accessories, camp and even your facial hair, all can be tailored to your play. A slow and steady soundtrack builds throughout the game. The game is what you want with a sequel, bringing all the old favourites from the original while still feeling new, it's an enjoyable game that took its time getting here and was worth the wait. Red Dead Redemption is available on Xbox one (which is the platform I used) and PlayStation 4.